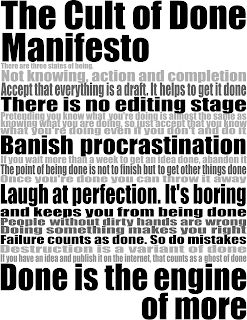 If you have never heard of the Cult of Done Manifesto then this post may be of benefit to you. I have a problem with procrastination myself. If given a choice between getting something done and relaxing, I will go to the relaxing in a swift second. However, over the years I have found that the best way to deal with the problem is to just do it when it comes up. It drives my wife nuts when I will walk into the kitchen and suddenly wash knives or put things away. I find that the best way to get the little things done it to do them now instead of putting them off until later. 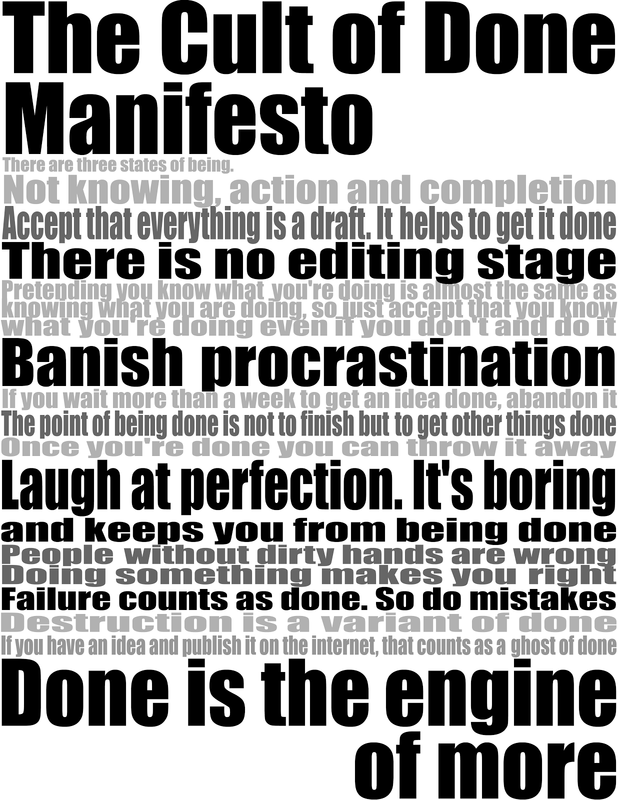 Then I found the Cult of Done Manifesto. Now I can put my approach to dealing with issues quickly to words, and I get it. How do you deal with the detritus of life?